Network settings that were changed such as IP address, subnet mask, disabled dynamic IP address (DHCP) can be returned to the settings when it was purchased. 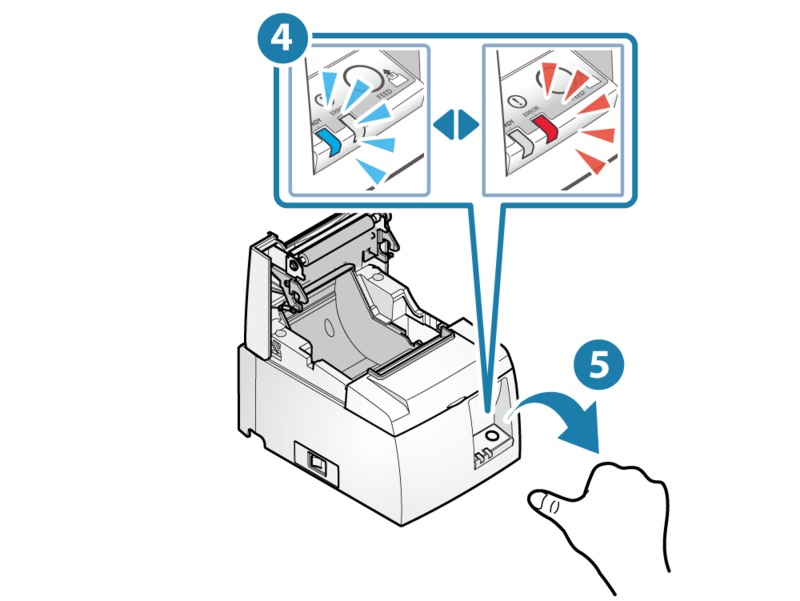 Do not turn the power of the printer OFF when initializing. The initialization will not finish properly. 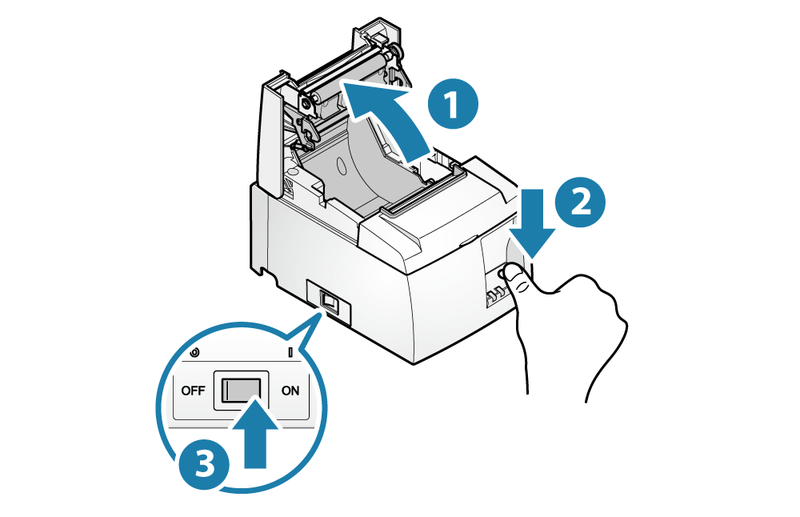 Open the printer cover , press and hold the Feed button , and turn ON the power switch located on the side of the device . When the LED (blue/red) flashes alternately , release the Feed button . When initialization is competed, the LED (blue/red) will slowly flash alternately . Turn the power OFF . 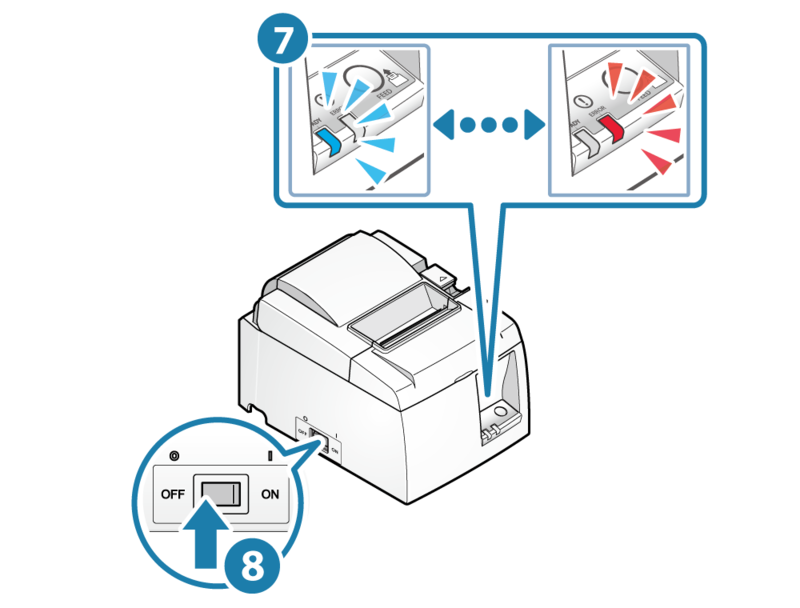 When the network settings are initialized, the printer network settings which were changed through Telnet or Web Configuration are restored to the settings when it was first purchased. © Copyright 2016-2019 Star Micronics Co., Ltd.